I was "messing" around with PaintShop Pro5 trying out various techniques and effects. I went to make a cup of coffee and came back into the room and noticed this. 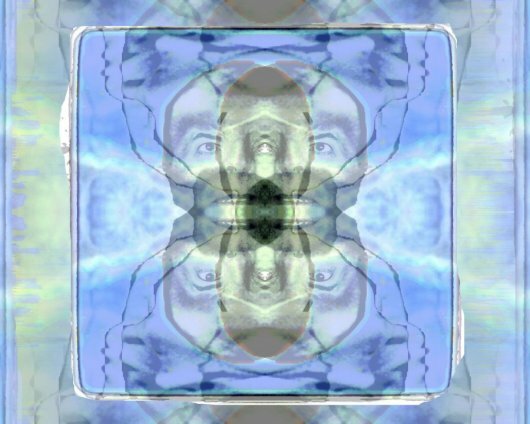 On this particular photograph I was amazed to see another Bowie face come out from the picture. If you look at DB's side profile you can see clearly another image appearing full face on. Weird or what? Look what I dug out... P. Kinder Class 5a - aged 15 - preliminary 20 minute sketch copied from a photograph for an 'O' level Art mock exam. Ahhh seems like only yesterday. The gouche painting I produced based around this sketch was sold the following year, after it was exhibited at a community art charity exhibition. All the proceeds raised went towards new equipment for Pendlebury Childrens' Hospital. I was told it was purchased by a trendy clothing business in Manchester city centre. Hmm I wonder who owns it now? 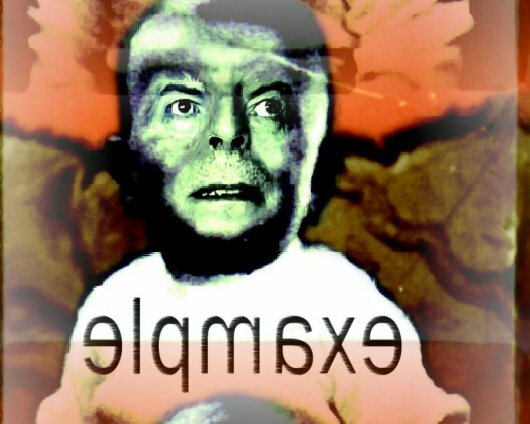 This was one of my entries to the Bowieart.com print competition held in November 2000. 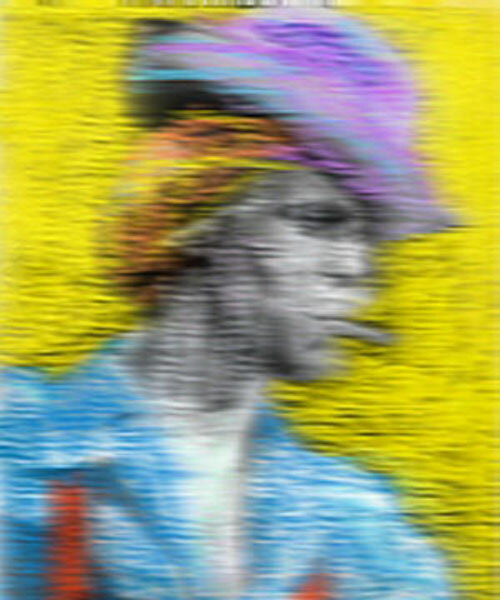 For the competition you were invited to re-work a new print by David Bowie that was created especially for the relaunch of Bowieart.com. Judges for the competition were British artist Gavin Turk, Shez 360, and David himself. The winner had their print made into a double-signed edition of three, an artist's proof and one for each artist in the collaboration; David and the winner. 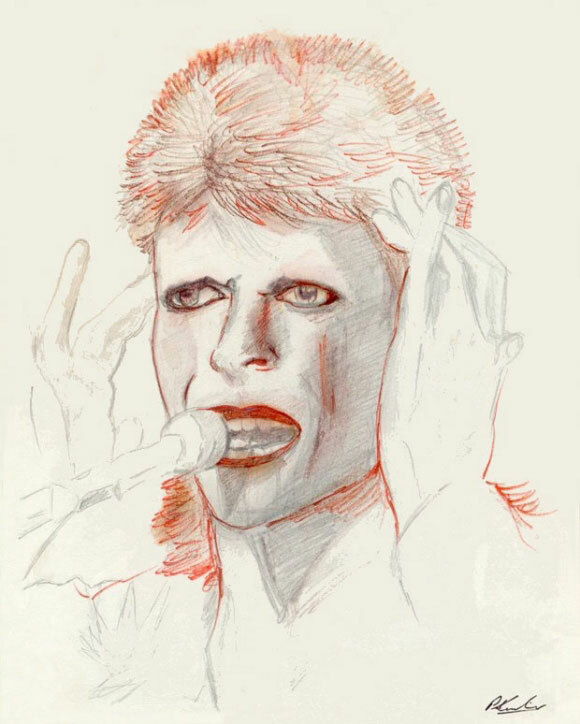 The second of my entries to the Bowieart.com print competition. 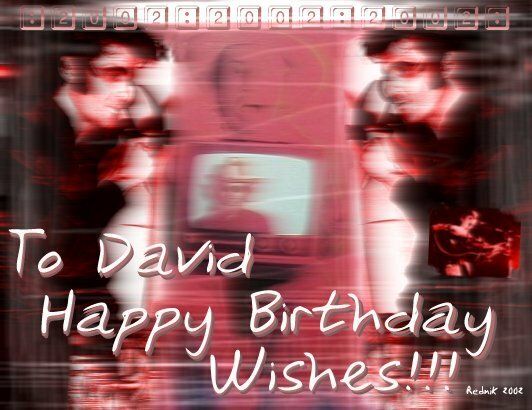 Birthday card design I did for David in 2002.